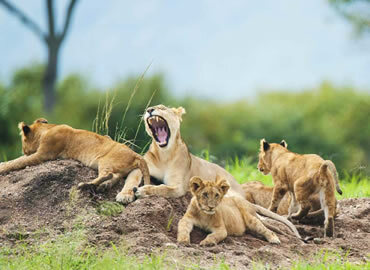 Kenya & Tanzana's national parks and game reserves are a paradise for wildlife enthusiasts, offering a variety of Kenyan animals and accommodations to suit all preferences. From low budget camping to moderately priced lodges to top-notch luxury bush lodges, there's something for everyone to enjoy. 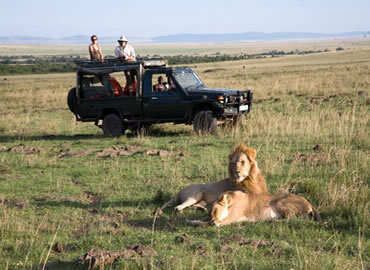 The most famous of all Kenya's game parks is, of course, the Maasai Mara National Reserve and Tanzania's Serengeti. 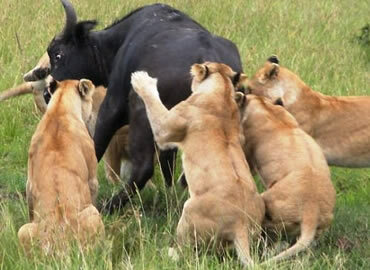 They are known for wildebeest migration but also home to the "big five" animals, more than 400 species of birds, and varying topography. 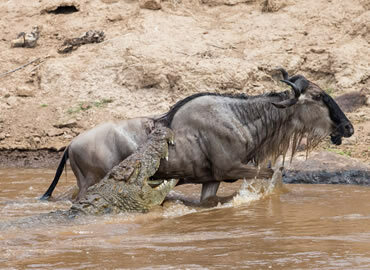 In addition to the "Big Five", you will find plenty of interesting Kenyan and Tanzania's wildlife such as hippos, jackals, giraffes, zebras, warthogs, wildebeests, hyenas, antelope, cheetahs, crocodiles and more. 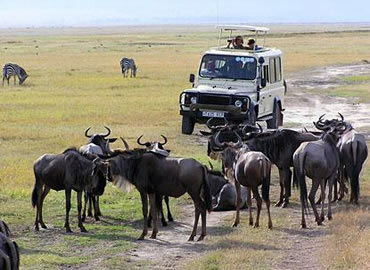 This tour take you through the northern Serengeti National park which is Masai Mara game reserve on the Kenya side. Pick up from the airport on arrival and transfer you to Boulevard hotel for overnight stay in readiness for your holiday safari the following morning. 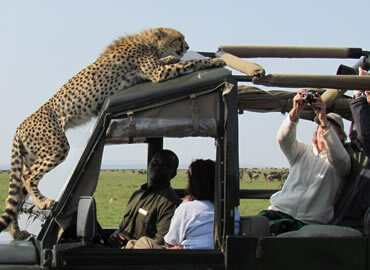 12 days Kenya Tanzania combined circuit safari across Kenya and Tanzania’s leading parks . Pick up from the airport on arrival and transfer to a City hotel for overnight stay in readiness for a holiday safari the following morning.